As the Nuggets were looking for their first playoff victory in six years, Barton and the rest of his teammates, for the most part, struggled to make shots. Unfortunately, for Barton’s sake, his stat line — 1-of-10 shooting from the field for three points — made him public enemy number one from Nuggets faithful. 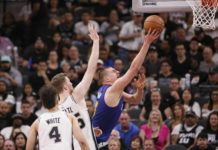 In the third quarter, boos rained down on Barton as he struggled to make shot after shot no matter if they were free throws, layups, or 3-pointers. 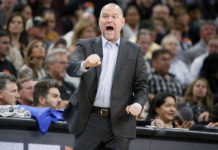 Barton was subbed out after his poor third quarter and did not return for the remainder of the game, but that did not stop Nuggets head coach Michael Malone from acknowledging him after the game. Malone’s words of support for Barton were not the only ones that Denver’s starting small forward received. Nuggets’ star big man Nikola Jokic did the same when it was his turn to speak. The injury that Jokic is alluding to is a core injury that forced Barton to miss 39 games this season. Barton ending up having surgery for the hip/core area on the right side of his body to repair the injury and it held him out from October 20th, 2018 until January 12th, 2019. This was the first time in his basketball career that Barton missed an extended period of time because of injury, which grew extremely tough on him as a player and a competitor. Even though Barton has missed a good chunk of time this season, he has still played a major role in helping the Nuggets get to where they are today. After playing his first two professional seasons with the Portland Trail Blazers, Barton was traded to Denver on February 19, 2015 in a deal that was centered around Arron Afflalo and a lottery protected first-round draft pick. That deal has ended up working out pretty well for Denver. Barton became a walking bucket off of Denver’s bench and, as his role grew, so did his production. 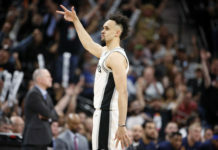 All of his growth led to his breakout 2017-18 season when he went on to average 15.7 points, five rebounds, and 4.1 assists while starting in 40 of the 81 games he played in. He ended up shooting a career-best 45.2% from the field and 37% from three-point range as well. 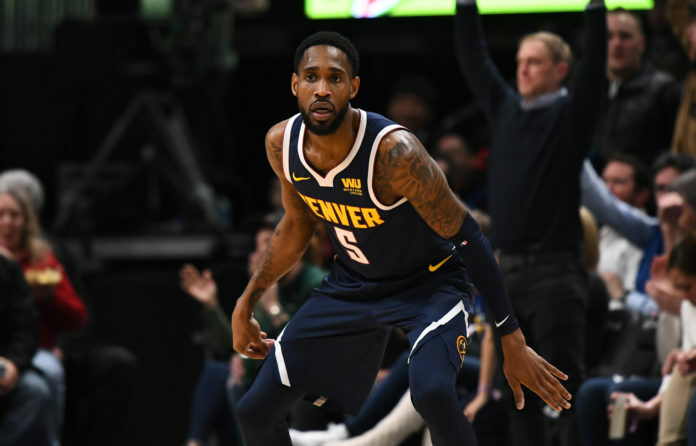 The Nuggets rewarded Barton with a four-year contract extension this offseason and gave him the opportunity to be a full-time starter, which was halted due to injury. Suffering the worst injury of his career put a real damper on Barton’s season just six quarters into the year, but he is still finding a way contribute for Denver so far in the playoffs. Even though Barton had his struggles in Game 2, don’t forget his 15 points in game 1 that almost led Denver to victory. There is no doubt how well respected Barton is within that Nuggets locker room which is clear by how his teammates and coaches talk about him as a player and as a person. Barton is the emotional leader of this Nuggets team. Sure, he had an off night on Tuesday, and there is no denying that, but booing a player that has done so much for the city on and off the court is not the answer. Denver will be back in action on Thursday night in San Antonio and Barton will be there ready to give it his all. Even when his shots are not falling, there is no questioning the positive impact that Barton has on the Nuggets team as a whole, which is something he will continue to bring in this playoff push no matter what.